Our Spring 2019 Issue is here! Purchase MQR 57:6 (Spring 2019) in print or as a downloadable PDF. 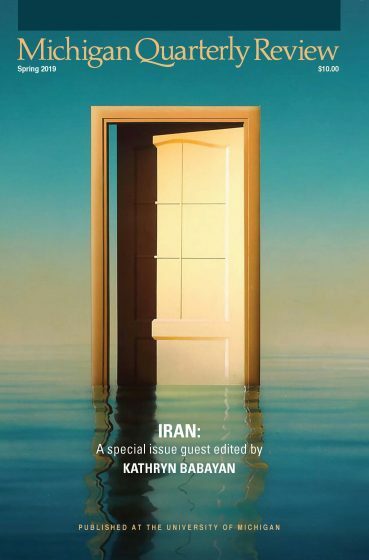 And enjoy our Web-Exclusive Iran Folio of interviews, reviews, and essays, as well as excerpts from the print journal.